Lead (Pb) bioaccessibility measurements have been the subject of much research in recent years, given the desire to develop a cost-effective and reliable alternative method to estimate its bioavailability from soils and dusts. 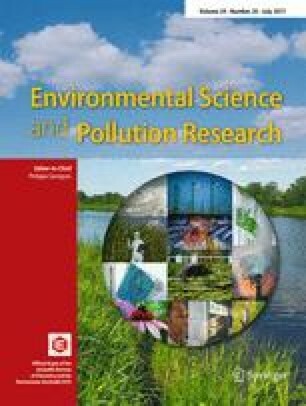 This study investigates the relationship between Pb bioaccessibility estimated using the Relative Bioavailability Leaching Procedure (RBALP) and solid phase speciation of Pb using mining impacted soils and associated dusts. Solid phase speciation was conducted prior to and after RBALP extractions. The average Pb concentrations were 59, 67, and 385 mg/kg for top soil, sub-soil, and house dust samples, respectively. Lead bioaccessibility in selected top soils and dusts ranged from 16.7 to 57.3% and 8.9 to 98.1%, respectively. Solid phase speciation of Pb in <250 μm residues prior to and after RBALP extraction revealed 83% decrease in Pb bound to carbonate fraction after RBALP extraction. This accounts for 69% of RBALP-extractable Pb. Besides contribution from carbonate bound Pb, 76.6 and 53.2% of Pb bound to Mn oxyhydroxides and amorphous Fe and Al oxyhydroxides contributed to bioaccessible Pb, respectively. However, Pb bound to Mn oxyhydroxides and amorphous Fe and Al oxyhydroxides account for only 13.8 and 20.0% of total RBALP-extractable Pb, respectively. Both non-specifically bound and easily exchangeable fractions and strongly bound inner-sphere complexes were also part of bioaccessible Pb. The present study demonstrates that bioaccessible Pb is released from both soil solution phase Pb as well as that from all soil solid phase with the most contribution being from Pb bound to carbonate mineral phase. The online version of this article (doi: 10.1007/s11356-017-9250-8) contains supplementary material, which is available to authorized users. Funding support including a fellowship for Dr. Olanrewaju Bello from CRC-CARE is highly appreciated. We are grateful to Dr. Ray Correll, Rho Environments, Australia, for assisting us with statistical analysis of the data.